I just posted about the Raspberry Pi A+ and the last quote was about how much the A+ cost in terms of Starbucks coffee. I've used the same metric for thinking about buying an app on my phone. My stream of consciousness led me to the latte factor next. Which then got me thinking and I realized the Starbucks comparison does not include a key factor - time. A cup of Starbucks is $4. My average annual rate of return over the long term is 6%. I have twenty years until I retire. That means the Raspberry Pi A+ that is "the cost of 4 Starbucks coffees" with my calculations will cost: $52. 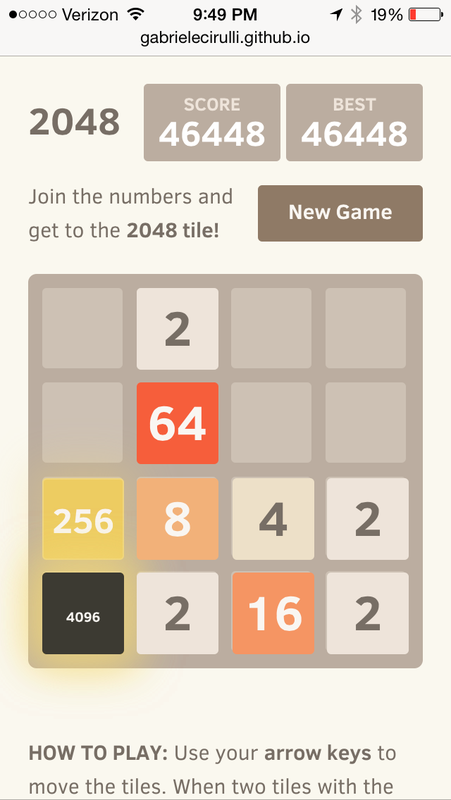 Back to the job search for me since I beat the 2048 game. Don't play this game unless you have tons of free time. "The Tehran scientist told the Fars state news agency that his device can 'predict the future in a print out after taking readings from the touch of a user,' adding that it uses a set of complex algorithms to 'predict five to eight years of the future life of any individual, with 98 percent accuracy.'" I thought his post was going to be about DST, but instead it is about the invention of time zones. When hams log their contacts, they use UTC to avoid confusion. There is even a dual clock that shows local and UTC time. Based on the reviews, it is a nice idea, but poorly implemented. Someone needs to put two atomic clocks together and make some money on this.